It's haircare month here at The Beauty Hall and I'll be sharing with you some of my favourite new finds and old favourites. I'm also trialling a new review format so let me know what you think! What is it: Pronounced ‘Ra-wa’, it’s a haircare range based around four products – shampoo, conditioner, finishing treatment and the eye-wateringly expensive Elixir. They’ve recently introduced a volumising line to the range. Price point: Expensive. The shampoo is £26, conditioner £28, finishing treatment a cool £36 and then a staggering £135 for the Elixir. 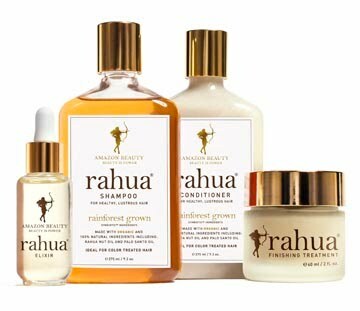 USP: The range is entirely organic, and contains Rahua oil used for centuries by the Quecha-Shuar tribe in the Amazon. The women of the tribe credit the oil as the reason for their thick, lustrous hair and the aim of the range is to improve hair strength to enable growth with less breakage. I’m desperate to get my hair a few inches longer so anything that can help with that sounds good to me! Would I recommend it: I’ve read mixed reviews of Rahua products, and my first experience wasn’t especially exciting. With such a hefty price tag, one can’t help but expect great things, and I have to say I was disappointed. I used them twice more and then switched back to my old favourite, occasionally spying the Rahua bottles in the cupboard and wondering how something so expensive could be so average. 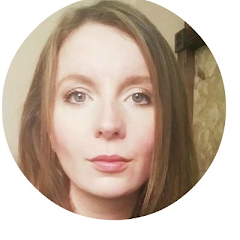 I resolved that it couldn’t be, so I tried again and something good happened: my hair got some serious gloss and the kind of bounce I’ve only seen from a salon blow dry. It was silky, manageable and has looked the best it has done in years. So why the initial poor results? For me, this is definitely a range I needed to persevere with, and I have been astonished at the results. I was perhaps a little heavy-handed with the applications the first few times, as less is definitely more. I shampoo my thick hair twice as I can never get a decent lather on the first wash, even when my hair is soaked, but need only a minimal amount of product. The conditioner is rich and again, a little goes a long way. The star of the range for me has been the finishing treatment. A little applied to the lengths and ends seals the cuticle and leaves you with a glossy, gleaming mane. Would I repurchase: Firstly, I feel it’s important to note that I won these products rather than buying them or receiving them from a PR company. I don’t normally disclose that, but given the price point, I wanted to share that I’m not sure I would ever have bought the entire range without some seriously good reviews. I’ve not included the Elixir in this review for the simple fact that I haven’t been using it, but I'll soon be putting it through its paces. That said, I will definitely buy the finishing treatment, which I’ve been using for around three weeks, compared to two weeks using the shampoo and conditioner. It’s been eight weeks since I last had my hair cut, and normally, I’d have needed to schedule a chop two weeks ago. The finishing treatment and another ‘to be reviewed’ product are the only things different in my routine, and at £36, the large-ish pot seems a sound, long-lasting investment. I’ve seen a big difference since using the shampoo and conditioner, but the thought of spending £54 on these products seems to me a little excessive. That said, if you’re desperate to grow your hair and find it getting to the point where it looks too damaged and you’re prepared to invest, I’d recommend giving this range a try. I don’t think I’ll use it all the time, but perhaps alternating this with my other favourite range will help me to justify the investment! What do you think? Is spending this much on haircare madness? With such a high level of anxiety among hair loss sufferers, it is only natural that the Dht blocker hair regrowth conditioner market be filled with a wide selection of effective and not so effective hair loss products.